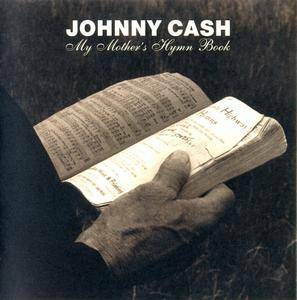 Originally included as part of the exhaustive Unearthed box set of Johnny Cash's American Records recordings, My Mother's Hymn Book is exactly what it claims to be – songs directly out of Cash's mother's old hymnal. 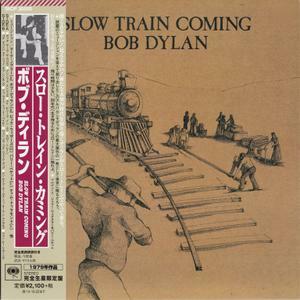 Featuring Cash alone playing an acoustic guitar, this is a stark, beautiful, and simple album. In the liner notes, Cash calls this his favorite record he's ever made and it's clear that learning these songs as a child is what inspired his love of music. In that sense, despite no original material, these are some of the most personal songs Cash ever recorded; he even includes song-by-song commentaries that help illuminate what each track meant to him. For Merle Travis' "I Am a Pilgrim" Cash writes, "It's one of those old country gospel classics that my mother sang, that I knew I would record it someday." Of course, Cash recorded gospel songs before this album, as in 1959 with Hymns by Johnny Cash and again in 1962 with Hymns From the Heart and he usually included one gospel track per album. The latest recording project from Blinddog Smokin' in elegant packaging replete with photos, notes, lyrics. All original music covering electric blues, funk, jazz, and gospel. 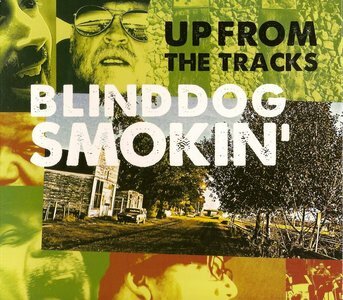 Blinddog Smokin’, known for its intense presentation, dynamic volume swings, and humorous storytelling, brings anywhere from six to ten performers to its shows, and often features in addition, famous guest blues artists like Bobby Rush, Carl Weathersby, Sherman Robertson and Billy Branch. For several summers, award winning British sensation, Oli Brown toured with Blinddog. The big Blinddog bus has carried on tour such notables as Zora Young, Miss Blues, Aynsley Lister, and Holland’s Coen Wolters. The shows are innovative, always colorful, and often dramatic, and in one night may feature many configurations, looks, and song styles. The successful self-titled reissue of Fame-era material released in early 2004 allowed Candi Staton to make this, her first secular album in several years. 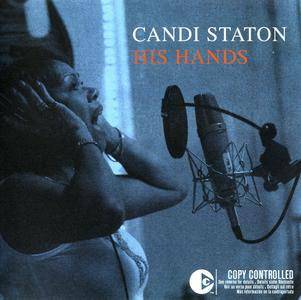 Where 1999's Outside In was a way to take advantage of her unplanned return to the clubs – a couple singles released during the '90s used a vocal she recorded for a documentary about a man's struggle with life-threatening obesity – His Hands is 100 percent Southern soul. Staton involves several family members and longtime associates, including son Marcus Williams (a seasoned drummer who has played with her for years), daughter Cassandra Hightower, sister Maggie Staton Peebles, and Muscle Shoals Rhythm Section organist Barry Beckett. It might be surprising to see that Lambchop's Mark Nevers produced the session, and that Lambchop ally Lloyd Barry arranged the horns, but both men have done extensive work with Staton's peers in the gospel world. Rare recordings made by Stefan Grossman of Rev. 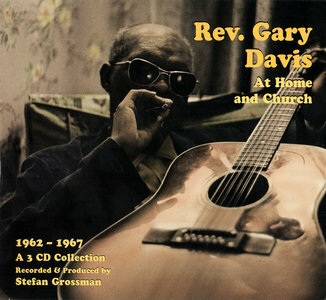 Gary Davis at home and at his storefront church. This three CD collection presents blues, rags, gospel, tin pan alley and folk tunes as well as Rev. Davis preaching in church. A very unique and complete portrait of this legendary musician. On 2003's Long Time Coming, Jonny Lang made the first turn from his rap as an itinerant blues-rocker to being a spiritually inspired rock and pop songwriter. Producer Marti Frederiksen took Lang's tunes and glossed them to the breaking point, leaving the album an unfocused gobbledygook set of songs that had no center. Three years later, Lang returns with Turn Around. 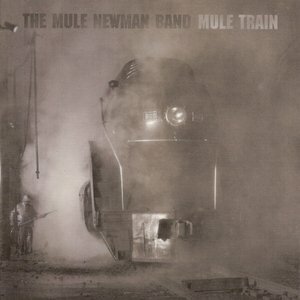 And the title does not refer to him turning back to his blues guitar slinger roots. Instead, the title refers to the biblical term that is the definition of the word "repent." (No mistake.) Lang's overt spirituality comes ringing through the mix created by Drew Ramsey Lang and Shannon Sanders. Turn Around is funkier, dressed in contemporary gospel, gritty rock and yes, the blues. Lang's still got a way to go as a songwriter, but the material here is infinitely better than it was on his last outing. 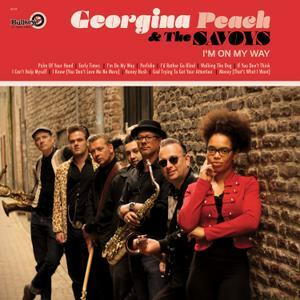 The debut album of Georgina Peach & The Savoy's "I'm On My Way" was released on El Toro Records in early 2019 and was well received. 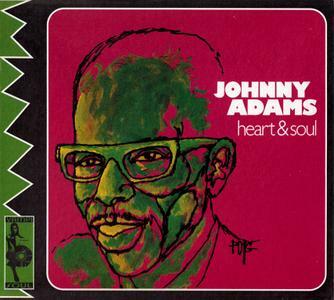 Heart & Soul is a compilation album by American blues musician Johnny Adams. Released in 1969 by SSS International, the record was produced by Shelby Singleton and contains much of Adams' 1960s output. Heart & Soul largely blends 1960s gospel, soul, pop, blues, country and funk. "Georgia Morning Dew" has been described as "bouncy country-funk" that provides a "giddy, melancholy counterpart to Adams' throaty proclamations." In 2013, Tucson Weekly called Heart & Soul a collection of Adams' finest work, writing, "As a compilation, Heart & Soul is replete with Adams' astonishingly full-bellied soul—searching and salutatory, dramatic and light—fitting comfortably alongside such classics of the form as Songs in the Key of Life, Going to a Go-Go, What's Going On, and Otis Blue." 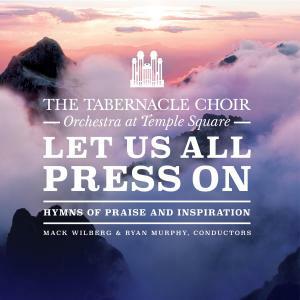 The release of Let Us All Press On: Hymns of Praise and Inspiration marks another chapter from an already busy season for the choir and orchestra. Beyond their traditional performing schedule, they performed in seven different cities in California; Washington; and Vancouver, Canada, during the 2018 Classic Coast Tour. The choir and orchestra also shared the Conference Center stage with actress/singer Kristin Chenoweth last December during the organization’s annual Christmas concert. 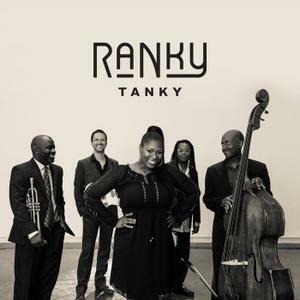 From the South Carolina Lowcountry, where life is laced with African ways, comes Ranky Tanky, a quintet with music rooted in a culture that has shaped American art, food, language and attitude. That culture, its people and their mother tongue is called Gullah. Perhaps it was inevitable that Bob Dylan would change direction at the end of the '70s, since he had dabbled in everything from full-on repudiation of his legacy to a quiet embrace of it, to dipping his toe into pure showmanship. Nobody really could have expected that he would turn to Christianity on Slow Train Coming, embracing a born-again philosophy with enthusiasm. He has no problem in believing in a vengeful god – you gotta serve somebody, after all – and this is pure brimstone and fire throughout the record, even on such lovely testimonials as "I Believe in You." 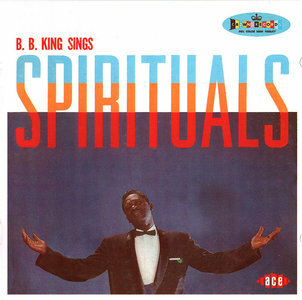 The Spirituals as B.B. King's 4th Crown LP, recorded in 1959 as a dedicated gospel album. The song selection literally represents a greatest hits package of the time, ranging from classics such as 'Precious Lord' and 'Swing Low Sweet Chariot' to no less than 6 staples from the repertoire of the highly respected 5 Blind Boys of Mississippi. Includes 8 bonus tracks. 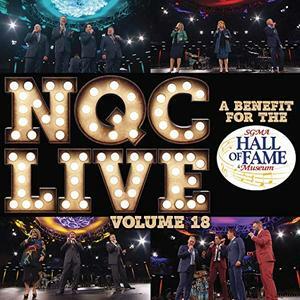 Proceeds from purchasing this album go to support the Hall of Fame, operated by SGMA, and its mission of recognizing distinguished individuals in the field and permanently enshrining them with a plaque bearing their picture and list of accomplishments. The museum located just inside the Dollywood theme park in Pigeon Forge, Tennessee, welcomes more than one million visitors annually to read and observe displays and memorabilia from a century of Gospel music. Southern Gospel music is built on the talent and dedication of many individuals who helped create a unique sound of harmonious melodies and uplifting words. Originally, Southern Gospel music was sung only by quartets, utilizing a style known as four-part harmony from books where musical notes were identified by their shape. Many singing schools sprung up around the country teaching this “shape note” method, later training more serious students for performance careers. Trombonist, bandleader and sometime bassist Chris Barber has been at the centre of British musical life for sixty years. In celebration of his 80th birthday, this 2CD anthology shows just why he has been such an influential figure, giving just a taste of his breadth of interest, and of his involvement in jazz, blues, skiffle and beyond. Contains performances with Eric Clapton, Van Morrison, Mark Knopfler, Rory Gallagher, Jools Holland, Keith Emerson, Muddy Waters and many more. 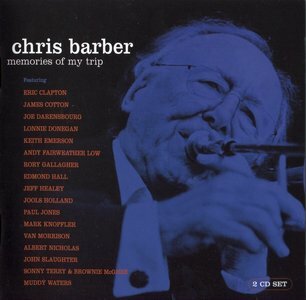 Chris Barber is a U.K. trombonist and band leader extrodenaire. His career spans sixty years and he's still going strong with recent and upcoming European tours. Mr. Barber was a primary force in the U.K. post war establishment of Trad jazz. Additionally, he pioneered the unique musical blend know popularly as Skiffle. 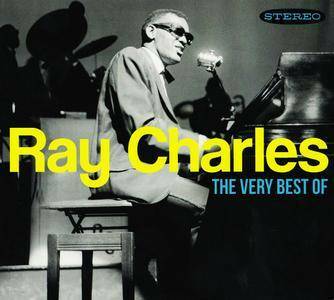 Ray Charles was the musician most responsible for developing soul music. Singers like Sam Cooke and Jackie Wilson also did a great deal to pioneer the form, but Charles did even more to devise a new form of black pop by merging '50s R&B with gospel-powered vocals, adding plenty of flavor from contemporary jazz, blues, and (in the '60s) country. Then there was his singing; his style was among the most emotional and easily identifiable of any 20th century performer, up there with the likes of Elvis and Billie Holiday. He was also a superb keyboard player, arranger, and bandleader. The brilliance of his 1950s and '60s work, however, can't obscure the fact that he made few classic tracks after the mid-'60s, though he recorded often and performed until the year before his death.